When it comes to moving companies in Tampa, some companies offer more comprehensive services than others. Here at Big Boys Moving and Storage, we offer moving services that run the gamut because we know that not every move is created equal. Moving to a new home can be a simple task or one that leaves you feeling overwhelmed and frazzled. 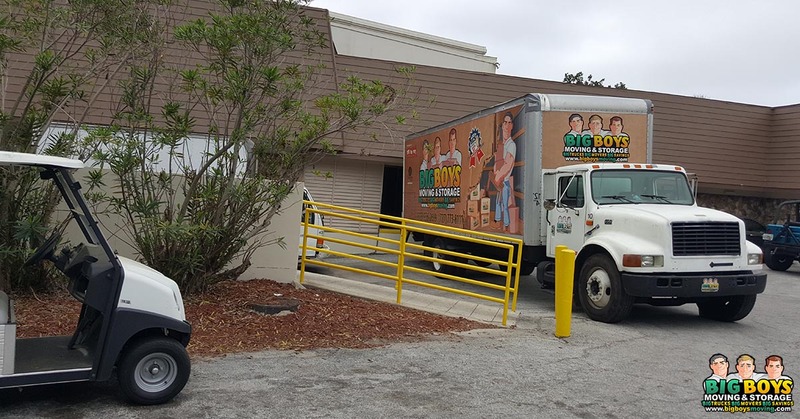 Fortunately, here at Big Boys Moving and Storage, unlike many other moving companies in Tampa, we provide a range of services that suit every size of move and every budget. Below are just a few of our services. For some people with smaller apartments and very little free time, the biggest challenge in moving can be finding the time to pack. You may have a minivan that’s large enough to move your small apartment but with work keeping you busy, you need someone to help you to carefully wrap and pack all of your belongings professionally. You could “wing it” and throw things in boxes with your clothing as padding, but we don’t recommend it…at least not if you have anything that you want to get to your new place in one piece! Our professional movers will take the time to thoroughly protect and pack your belongings to ensure that everything gets to your new home safely. If you’re stuck between jobs, waiting for your new home to be finished, or looking for a cheaper way to move your entire home all the way across the country, you might be considering storage Podz. Depending on the size of your move, this might be the most cost-efficient moving option for you, but who wants to load all of those boxes into the Podz? We do! Our labor-only moves are affordable, fast, and professional so that whenever you get to where you’re going, you can be sure that your belongings will be there, safely, waiting for you. You may be looking for moving companies in Tampa because you want more traditional moving services. Here at Big Boys Moving and Storage, we offer full service moving services too! You can have our professionally trained movers pack, load, move, unload, and unpack your items for you and never have to lift a finger during your move! We know that often people worry about the cost of this type of full-service move, but here at Big Boys, we price all of our moving packages competitively and we even run regular specials to save you more! If you’ve managed to pack and move your home yourself, but now that you’re in your new place, you’ve got more on your plate than you planned for, we’ve got you covered. Our highly trained moving staff will come into your home while you take care of those other little tasks, and they’ll unpack your boxes, unwrap your belongings and even get rid of all the packaging material for you too! We know that unpacking is a pain, many of our clients have been living in their new place for months before they finally get around to unpacking their moving boxes, don’t let that be you! If you are a small business owner, believe us when we tell you that we understand the unique constraints that come with running a small business! So, if you need help moving from your home office to your first official office, or from your first office to a slightly larger one, we can help! Our small business moving services are designed with the unique constraints of a small business budget in mind, but they include everything you could need to get your small business settled in your new location. Whether you’re finally moving into a small dog grooming salon from the basement of your home or whether you’re moving from a strip mall office to a more prominent location, we can help you get the job done without stretching your small budget to breaking point. 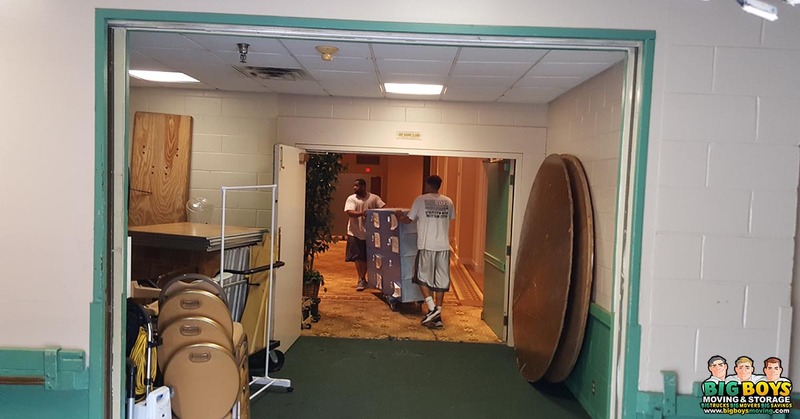 Sometimes a move isn’t just a matter of moving from one home to another or moving a small business office, sometimes things get a little more complicated, like when you have to move a large corporate office to a new location. Corporate moves require much more than packing boxes and moving them to a new location, they require strategic planning, blueprints, and specialty moving equipment to ensure that your new office is set up and functional for when your employees show up for work. Hiring inexperienced moving companies in Tampa can result in a longer stretch of downtime than expected and that will cost your business money you can’t afford to lose. Here at Big Boys Moving, our staff are well versed in every aspect of corporate moves and can ensure that you stay on schedule as you settle into your new office location. If you have a piano in your home, then you know that moving a piano is a difficult task that requires you to take a lot of care and to have the right equipment on hand. You also know that it’s not an easy job that anyone can tackle, which is why we always advise against those amateur moving companies that use untrained college kids to move your belongings. Instead, we recommend giving our professional piano movers a call because here at Big Boys, we are one of the only moving companies in Tampa that residents trust to move pianos that have been in their family for generations! Tired of Looking For Moving Companies in Tampa? If you’re tired of looking for moving companies in Tampa and just want to hire an experienced and trusted Tampa moving company, Big Boys Moving and Storage are at your service! Just pick up the phone and give us a call at 813-936-2699 and tell us how we can help you!